I love Spain. I want to eat it, breathe it, drink it, run through it; I want to experience that country as much as possible, and I have wanted that now for years. So far the courses I’ve taken in college have taught me the basics of Spanish language and culture, but they’re a textbook style let’s-get-in-a-circle-and-discuss-our-random-memories situation, and I’m sure there’s nothing like immersion in a foreign country that can really give the confidence and thorough knowledge that I want out of Spanish. That’s why I was so excited for my school’s opportunity to study abroad in Salamanca, Spain, a city rich in history and architectural beauty. What about my interest?! What about the application I spent weeks on, and the scholarship essay I wrote 7 pages for before realizing that the evil tiny text box wouldn’t take anything over 6000 characters? What about the amount of memory used by Google Docs to send emails between three possible professors for recommendations and general information about the program in the first place? What about the damned $300 deposit?! Suffice it to say, the whole outcome made me very, very sad. Unfortunately, life is full of disappointments, and this bubble we call college is no different. Whether it’s missing the roster for that class you wanted, or being stuck with that awkward roommate instead of your best friend, or getting caught drunk and underage by the cops, unfortunate disappointing things happen. The study abroad programs at UD have a comprehensive website that not only lists all the available programs, but has an option to search through them according to location, time of trip, and courses taught abroad. 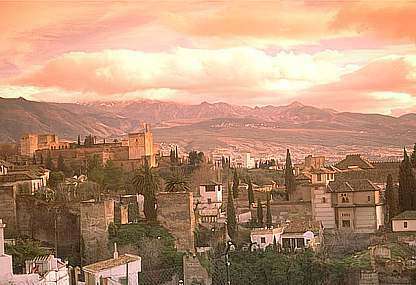 With that I found about the other trips abroad to Spanish speaking countries with courses that would allow me to finish my minor on time. I imagine the vast majority of college websites offer helpful search engines and pages that can assist anyone with a way around or through obstacles in their path of the Ultimate College Experience. The blow to my spirit about the unfortunate outcome of my dream trip didn’t go unnoticed by my friends, which was understandable; they had heard me rant about it for the past 2 months or so. They helped me with the search for a new appropriate trip that would satisfy my desire to study not just in a Spanish speaking country, but Spain itself. 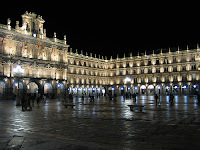 Also, they understood that whatever trip I took needed to satisfy the requirements for my major, which was one of the aspects I liked most about the Salamanca trip. Your friends want you to succeed too, if for no other reason that you stop whining about whatever it was that has made your life so difficult. Don’t be afraid to ask for help. They want you to succeed, since it makes them look good and encourages you to give money once you graduate. Seeking out the people in charge of the organization, class, or program you want to be a part of shows you have drive, desire, and initiative. Not only will this help you get the answers you need, but it could be enough to make your name stand out on the list the next time they need a spot filled. With the help of all these resources, I found another study abroad program offered in Spain for next spring. This program goes above and beyond my expectations, with a full semester in the center of this beautiful country and a large variety of courses that make a new minor in Spanish Studies possible. 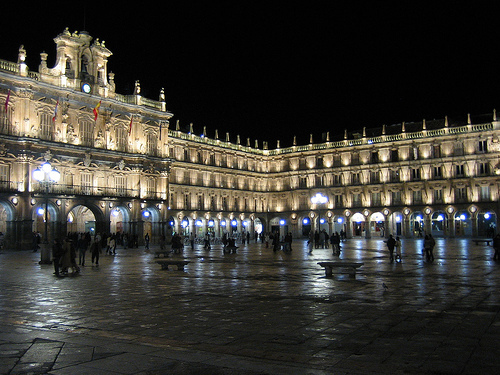 My excitement about this program makes my desire for the Salamanca trip nearly insignificant. I found out that the best thing about disappointments in college is the fact that if you miss one thing, there’s bound to be something just as good or better right around the corner. Opportunities are everywhere, and usually there’s plenty of people willing to help you reach your goals so long as you ask.